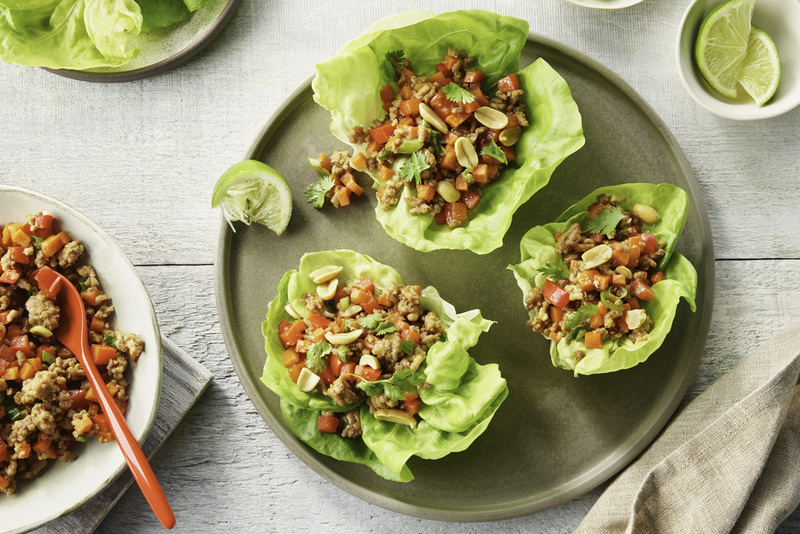 These lettuce cups are a fun, easy and delicious weeknight recipe. Substitute ground turkey for the pork if desired. In large non-stick skillet, cook pork with ginger until pork is no longer pink. Pour in broth and cook until reduced by about half, about 10 minutes. Stir in green onions, carrots, red pepper and Hoisin and cook just until vegetables are tender crisp, about 5 minutes more. Serve pork mixture in lettuce leaves. Garnish with cilantro leaves and chopped roasted peanuts if desired. 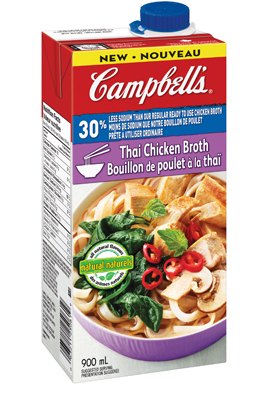 Use the remaining broth to cook 1 cup (250 mL) of long grain rice. Cook according to package instructions. Use in tacos if desired. Very Quick one pot meal that was chalk full of veggies! Definitely on the lighter side (even though I had 7) that didn't leave me feeling stuffed afterwards. I amped up the hoisin sauce which helped with the flavor intensity. The peanut crunch is a must have!